WWE Elimination Chamber 2019 was a fantastic show. It did not feature a lot of top superstars, but the undercard stepped up and proved how deep the current WWE roster is, in talent and skill. It proved that, if you give the audience what they want, they will be electric all throughout. There were a lot of important developments on the road to WrestleMania 35. WWE showcased that Brock Lesnar is not necessary for a pay-per-view to take place. Even without the Universal, US and SmackDown Women's Championship, the show did not seem like a drag really. But then again, it was not a perfect show at all, quite honestly. 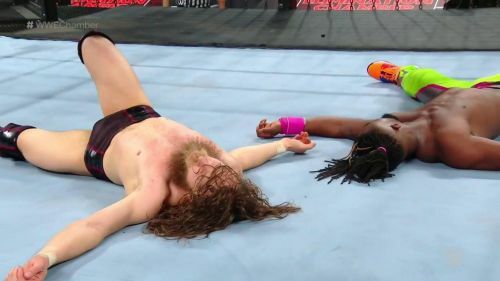 Here's an in-depth analysis of the good and the bad from Elimination Chamber 2019. Please share your thoughts and comments in the section below. What did you think of the pay-per-view overall? As good as the main event was, it truly was the Kofi Kingston show. The crowd had a hotter reaction for him than they had for their other favourite - Becky Lynch at Elimination Chamber 2019. They all wanted him to win the whole thing. Kofi showed no signs of his age as he recreated the magical performance from the gauntlet match on SmackDown Live this past week. It was great to see the crowd go back and forth as they ooh-ed and aah-ed every near fall. Each man played his part and the pool of talent in the ring was absolutely extraordinary. Jeff Hardy's Swanton, in particular, was a thing of beauty. This was one of the best WWE main events I've seen in quite some time. So much better than the one from last year! Do you think Kofi Kingston deserved to become WWE Champion at Elimination Chamber 2019?